Update: AGS covers 100% of Africa in 2016! Our African milestone has arrived: the AGS Group achieves a physical presence in all 54 countries in Africa in 2016! In this special feature we provide an overview of our pioneering Africa54 project, and celebration plans for this year. In stark contrast to some gloomy attitudes towards Africa expressed in the early 1990s, AGS recognised Africa’s importance to the global economy, as a leading resources supplier and a young population. AGS is proud to have played an integral role for over a quarter of a century in improving accessibility to African growth markets, by delivering high-quality mobility services to professionals and their families arriving in and travelling from this dynamic continent. The first AGS branch in Africa opened in 1992 in the Ivory Coast, and within 22 years new branches were established in a further 47 countries on the continent. In 2014 the AGS Group launched our ‘Africa 54’ project, committed to achieving 100% network coverage of Africa in 2016. 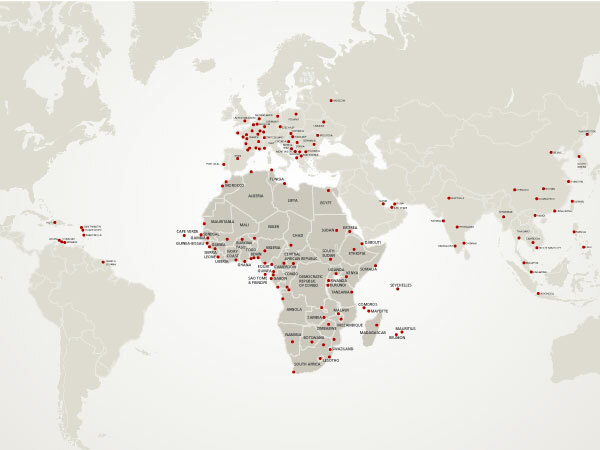 Unwavering dedication has enabled the AGS Group to continue expanding our network of subsidiary branches to all 54 countries in Africa: a historic and unique first for a privately-owned company! We look forward to celebrating this milestone through high-profile events in Johannesburg (20 September 2016), Paris (27 September 2016) and London (29 September 2016). This will be a celebration of the 25 years’ presence of the AGS Group in Africa, as well as of the complete coverage it offers its customers throughout the world for their mobility to or from Africa. This is through a unique, consistent and reliable service: an answer that is both local and global.